It’s Tuesday which means stamping post. Can you believe we are already in double digits? I don’t know if this is helping anyone but sure is helping me and it a fun exercise. Don’t forget to let me know if you want to pick the 4 polishes. The polishes for today were picked by MamaZombie Mumbles. Even though this one stamped fairly well in terms of colour transfer it just felt a little messy to me. It seemed prone to smudging (look at the tip on ring finger) and had the weirdest gaps and patches (like on middle finger). All of that could’ve been me though so I will not judge it too harshly on that. It transferred really well and on occasion stamped crisp and clear. It didn’t show up as well as I would’ve liked over the black but it is visible. Great on the white though. I would try this one again. First things first, I have to address the colour. You can see from the bottle that this is almost a rusty, red, maroon colour. You can also see that from the stamping over the black. I have no idea why it looks purple over the white. Ok, it stamps really well and beside the weird colour shift I had no problems with this one at all. Again, it doesn’t show up as well on the black as I would like but it does show up which is already good. The smudge on my middle finger is all my fault. I would use this again because it was an easy and good stamper but not knowing what the colour will be might make me hesitate. Just me? Overall pot-o-berries stamped really well but I had the same ‘messiness’ on my middle finger that I had with Red Rendezvous. I suspect even more so now that it is me. It really stamped well and even though it didn’t show up very much on the black. It shows up better than any of the others so far. Definitely one I would try again. Ding ding ding, we have a winner! How gorgeous is this? Purple Reign stamped like a charm and see how gorgeous it looks great over the black too? I really really loved this stamped. Another firm favourite on my ‘to stamp with’ list. I know right? So weird. Purple reign rocks!!! Ooh, Purple Reign looks fantastic over black! If you have any duo- or multichrome polishes I’d love to see how those stamp! I don’t have many duochromes (did China Glaze no Plain jane a few weeks back) but I will definitely do the ones I do have. Thanks!! 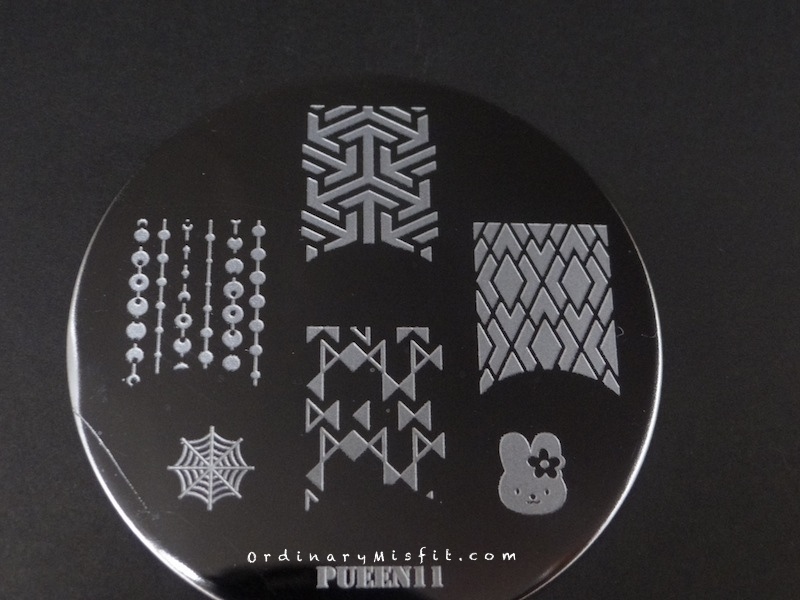 I absolutely love these stamping posts and it is so awesome that you let us pick the polishes if we want. I don’t have the inclination or time to test the polishes I own to see if they stamp well and because you are doing this I can stamp in more than just black and white! Please keep these posts coming, I love them! Yay! Thanks so much! I really enjoy them too and when you guys choose the polishes. Oh wow Purple Reign! I really have to try that one! It was one of my first Tip Top polishes that I had way before I got into nail art… I think it deserves some love! Absolutely definitely needs some love! Haha thanks Kerry. Purple Reign stamps like a boss! Thick, beautiful, purple gorgeousness! Awesome post M! Purple reign FTW!! Thanks T! !